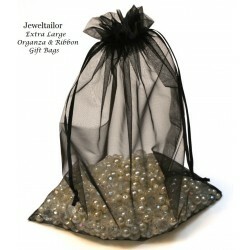 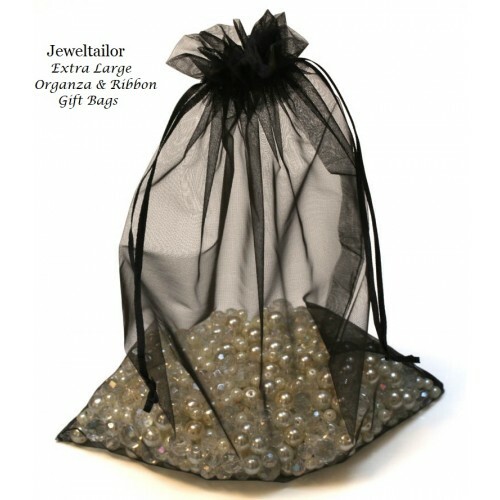 These luxurious, extra large black organza gift bags are ideal for a range of special occasions as they are a lovely quality, larger than average and can accommodate a range of items including shoes, lingerie or your own bespoke gifts. These super large, hand-made bags feature a lovely sheen, double sided satin ribbon and quality material to ensure your gifts look their best. 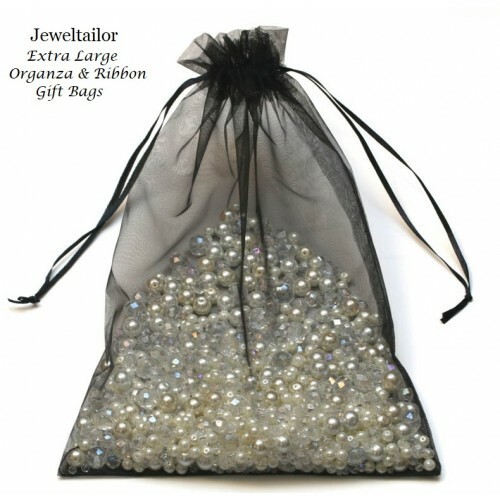 Each rectangle white organza bag measures approximately 30cm x 20cm wide (11.8 x 7.8 Inches) and the image features Jeweltailor's bridal white bead mix within (for illustrative purposes only).